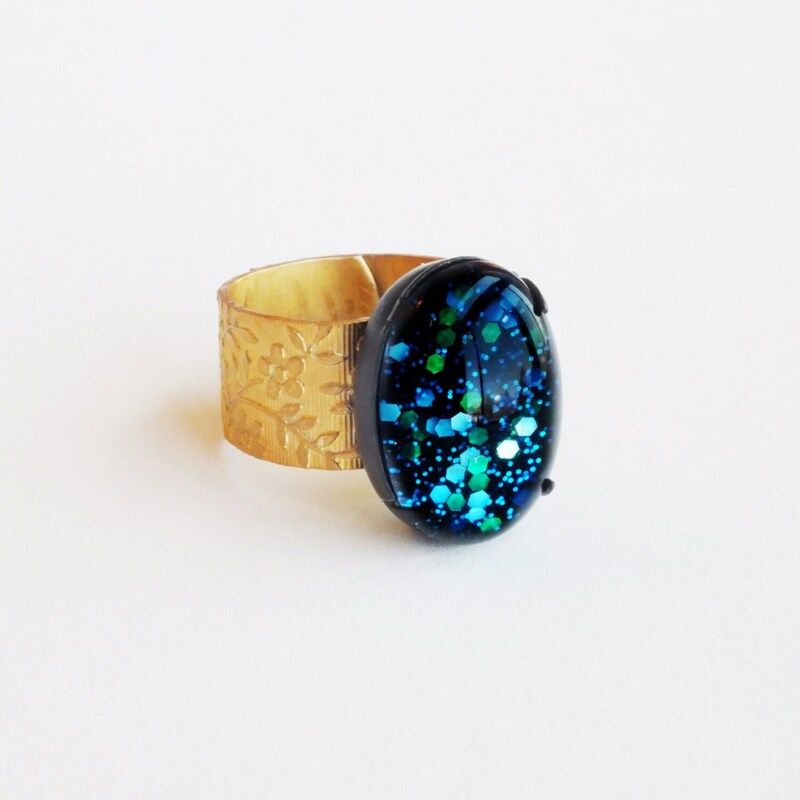 Handmade nail polish ring with blue glitter and vintage domed glass cabochon. 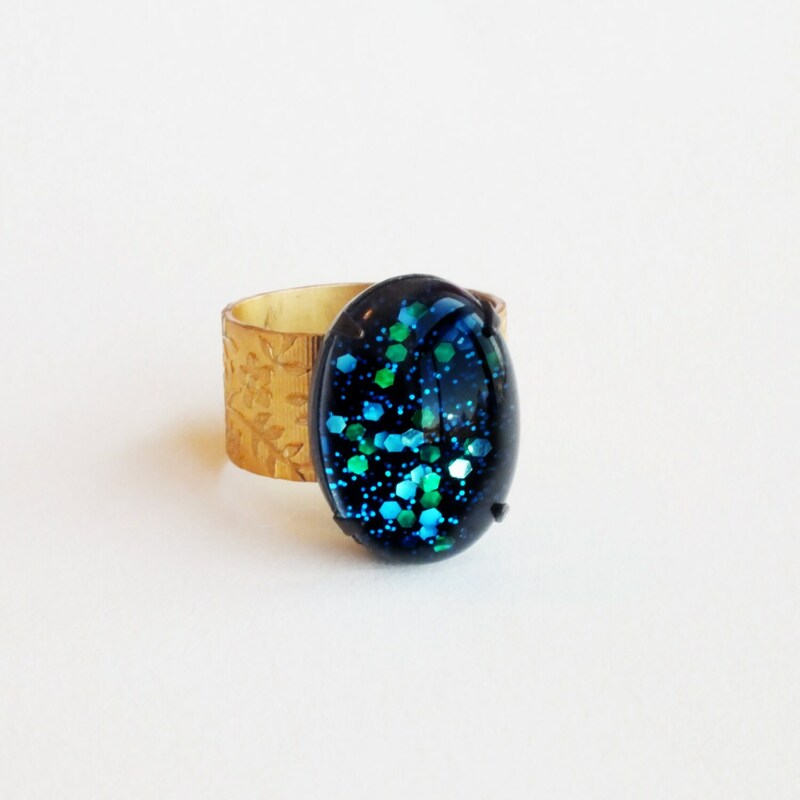 Vintage glass cabochon and brass ring. Cabochon is 3/4x1/2 inch - 18x13 mm. 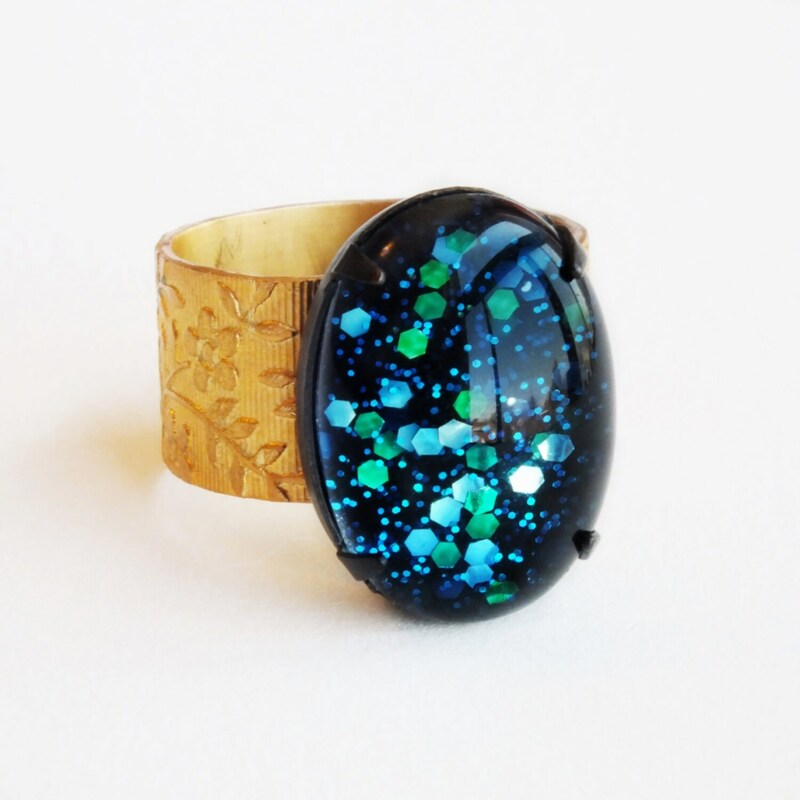 Made with a large clear domed glass cabochon I reverse painted with chunky blue and green glitter over dark navy blue. The domed shape of the cabochon magnifies and amplifies the effect of the captured glitter. 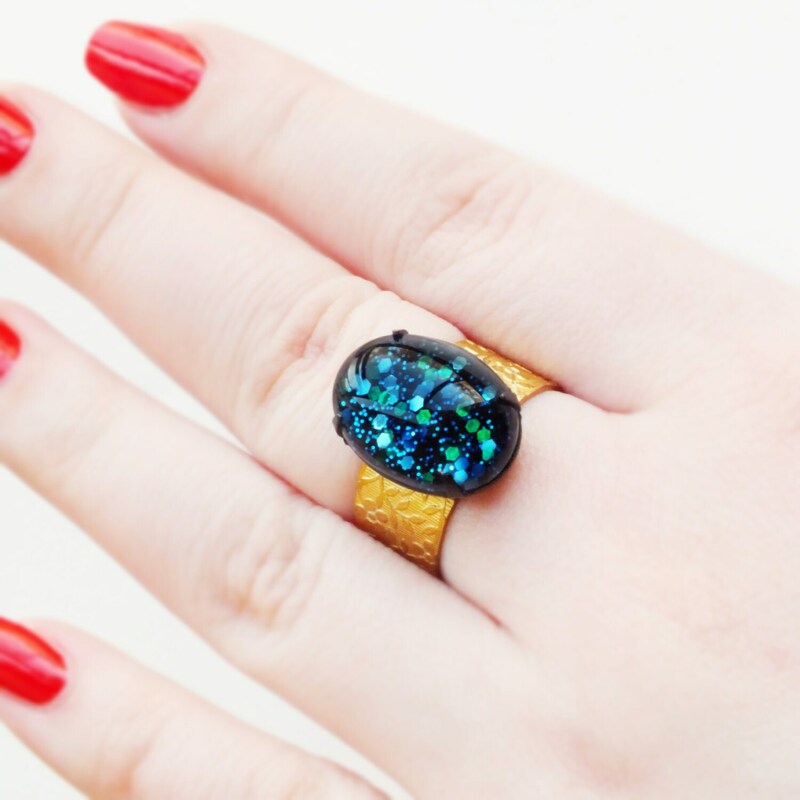 I set the stone in a high pronged setting giving it even more the appearance of a captive galaxy - so much more color and depth in person! 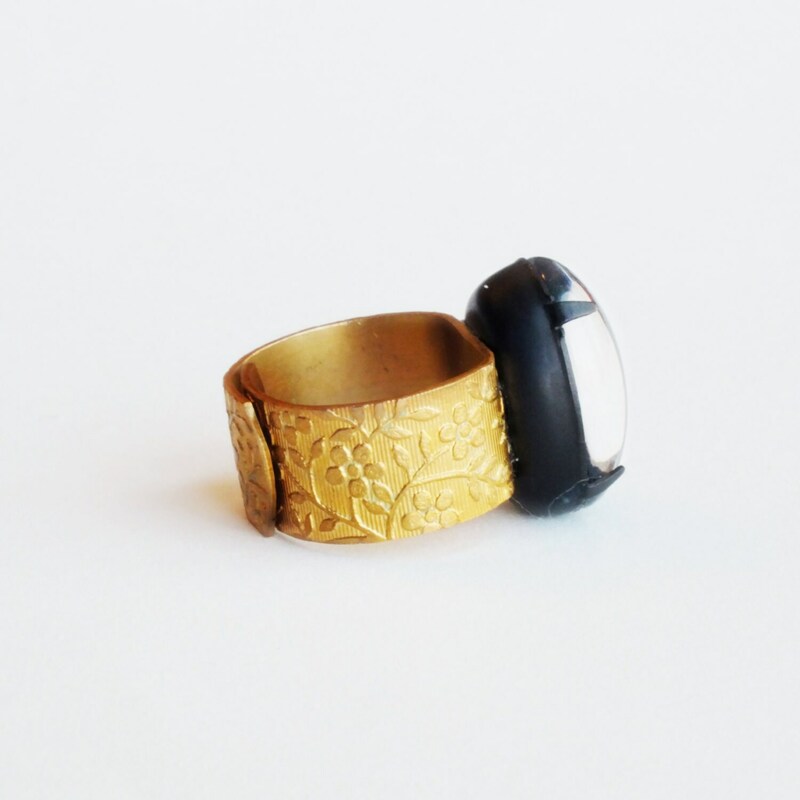 I antiqued the setting to a dark matte patina and secured it to a super comfortable adjustable vintage brass ring with raised floral detail.